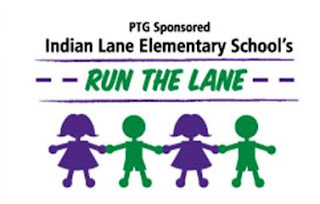 Indian Lane Elementary School’s PTG is organizing its 1st annual Run The Lane 5K Run/Walk and 1 Mile Fun Run to be held on Saturday, June 5, 2010. There will be family fun immediately following the events so bring out the family for all to participate. Curious Parents Magazine and Fun Things To Do With Kids In Delaware County will be there to provide kids crafts! Curious Parents Magazine will also be hosting a giveaway for books featured in the June issue's Book Reviews. You can enter to win "The Toddler Bistro" by Christina Schmidt, Sesame Street's "C is for Cooking Recipes from the Street," " Pillsbury Kids Cookbook Food Fun For Boys and Girls" or " Saving Dinner " by Leanne Ely. Proceeds from the event will fund the Normal Kelly Smiles Scholarship Fund as well as enhance technology for the school. Each year, the NK Smiles Scholarship Fund gives 2-3 scholarships to deserving high school students in the local area. Awards will be given in many categories, including the top three overall male and female finishers and the top finisher in 6 age categories, as well as top finisher for team, each school grade (grades 1-12 at any school). Sign up today! The 1st 200 registrants will be given t-shirts commemorating the day. See www.runtthelane.com for more details and online registration. Race day registration begins at 8:00am.